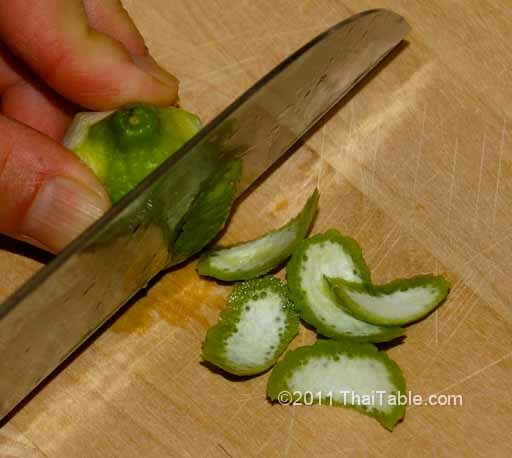 Kaffir lime is about the size of a regular lime. The rind is bumpy and thick and has distinct fragrant. The zest can be easily sliced. Try not to get the pith (white part). Make green curry and red curry pastes with the zest. Southern red curry paste made vegetarian. A base for many other southern dishes.